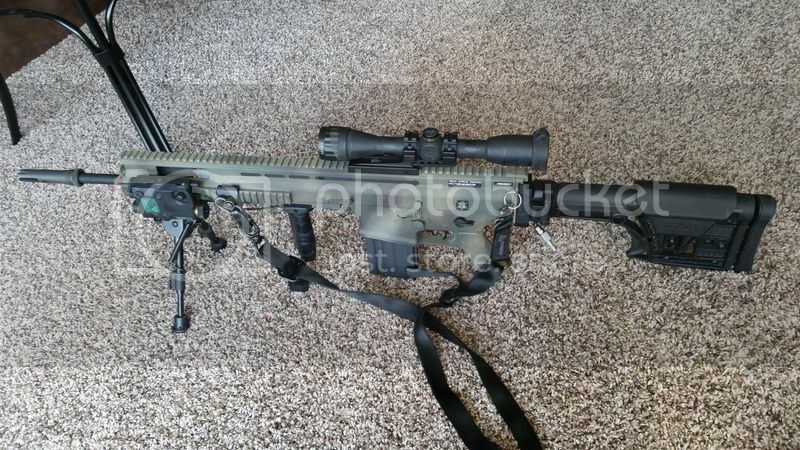 Looking to sell my custom built Polarstar mk17 H SSR. Life events are demanding money at this time so please no trade offers. 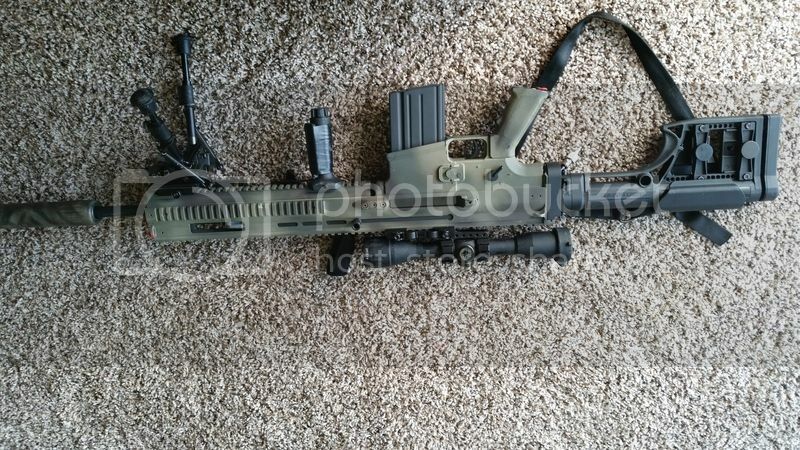 (doesn't matter how good they are) I am in desperate need of money and so I'm forced to sell my airsoft equipment. 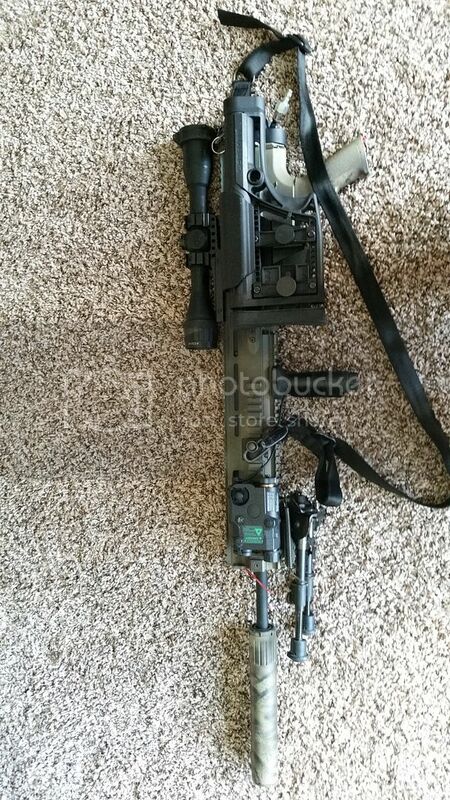 The base is a VFC scar H with trades intact and has a gen 3 fusion engine installed. Access points have been made to allow for quick nozzle changes and cylinder access. The magwell has been modified to accept SR-25 magazines (includes 3) though it can take Scar magazines as well. A skeleton PRS stock has been installed with a folding stock attachment. 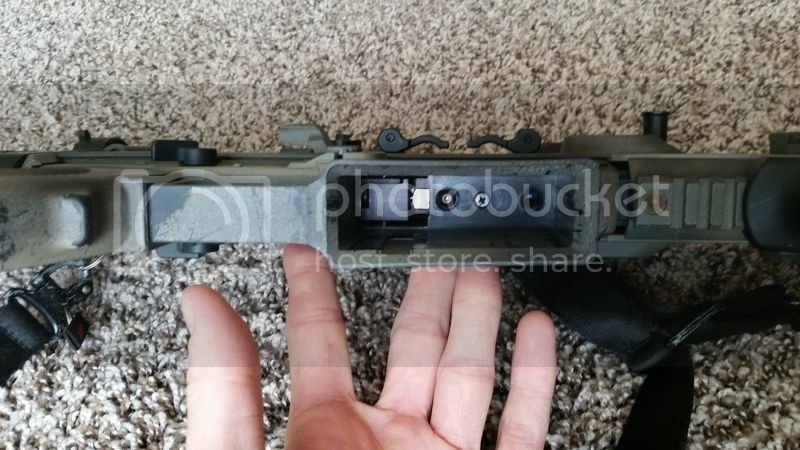 The air hose exits the rifle just below buffer tube to allow for use of the gun in prone position without having any interference. 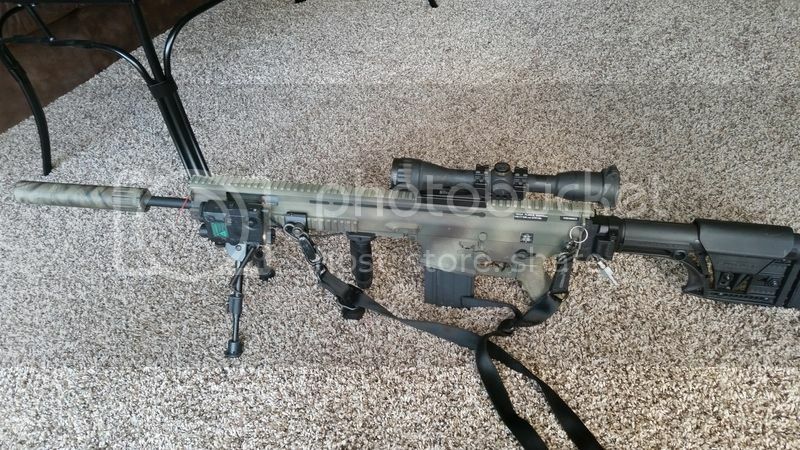 I have spent countless hours modifying and adjusting this gun to be the best DMR platform I have every used (and I've use A LOT) This rife is extremely accurate and can out range the vast majority of bolt action airsoft snipers. Very versatile and comfortable to use. Last edited by thedealer; 05-29-2015 at 09:23 PM.